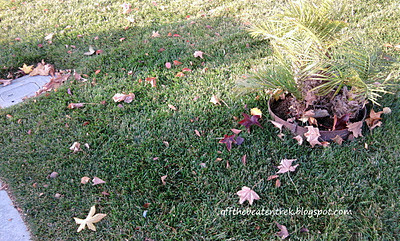 My son stood for a few minutes, with mouth agape upon the sight of wind-strewn leaves all over our front yard. The forceful gusts of wind kept coming in increments it seemed. “Drive safely,” I cautioned as he prepared to go to his school. I walked back into the house and heard the phone ringing. I didn’t pick up the call and let the caller leave a message on purpose. I wasn’t ready to give any answer, careful not to rush with any decision. The winds outside blew harder. 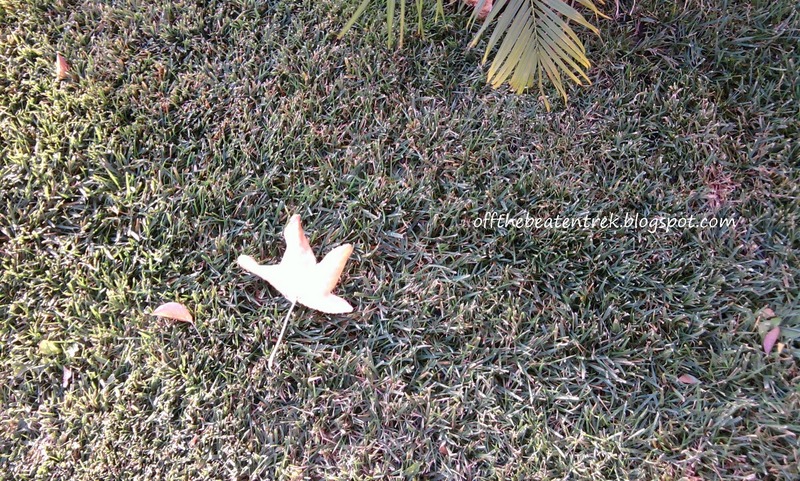 I saw the palm trees bending more and more as more leaves were scattered down the street and into people’s yards. The howling seemed threatening. 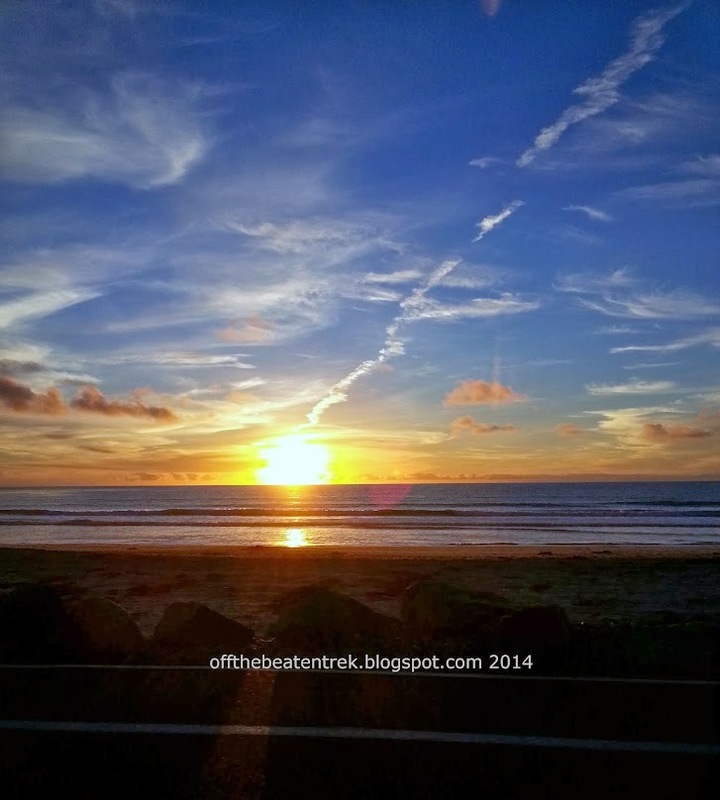 Yet, I was grateful for the warmth and silence inside our house. The powerful winds were created by people sitting in higher positions at my workplace almost a year ago. Fueled by their ill intentions to end my career, they tried to show their force. Their roaring accusations were all baseless. They were just loud. That was it…Loud and with empty promises. I wanted to quit at one point. But when I took refuge in His shelter, it became a different story. The strength, courage, peace and joy immediately surrounded me and sheltered me from these people. “Just wondering if you’re able to come and help us out. Please give me a call back…” I played it over and over. Their intimidation to make me feel that I was useless because I couldn’t work longer hours was their main reason to not allow me to work the usual hours I worked for 11 years. It didn’t make sense. Now, they kept calling me many times just to request and sometimes beg me if I could go and help out a certain shift. It felt as if they were the ones caught in these powerful winds they created themselves. I heard the flapping of the white tarp on our side yard as the wind blew again. I looked out and saw more yellow leaves fell from the tree across the street and down they went with a rustling sound as if they were marching down the street. 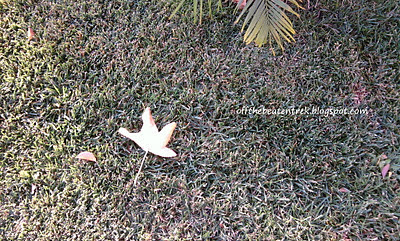 I went out to take a few pictures and found one particular leaf right next to our palm tree in the front yard. Nestled on the frozen ground. Unmoved by the forceful winds. Displaying its own splendor crafted by the Hands above. And my tears flowed…feeling His love was always more powerful than any forceful winds here in this world. I was swept away. Landing on His merciful hands. Nestled on His loving arms. Unmoved because I knew Jesus’ hold never lets go.